Thank you for visiting my legislative website. It is my honor to serve the citizens of the 14th Senate District in the Illinois General Assembly. On this website you can learn about me, my initiatives, and legislation that is being pushed forth in the General Assembly. Right now, my top priorities are bringing more jobs to the 14th district, finding a responsible solution to budget, and putting an end to business as usual in Springfield. I always welcome feedback from my constituents, so if you have any questions, concerns, or ideas, please do not hesitate to contact me. I also hold periodic town-hall meetings, roundtables, and satellite office hours. Check the Constituent Services section of my website to learn about upcoming events. 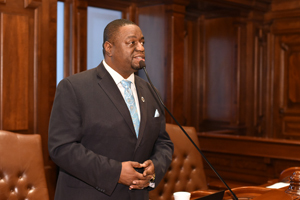 SPRINGFIELD – Associate judgeships in Cook County circuit court would be converted to resident judgeships under a proposal sponsored by State Senator Emil Jones III (D-Chicago). Currently, associate judges are not held to the same judicial standard as elected judges. 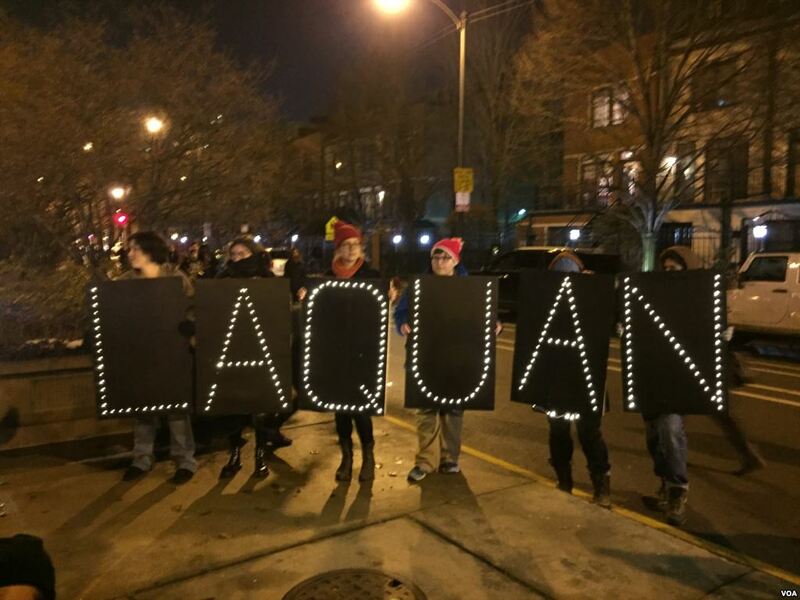 Associate Judge Domenica Stephenson recently released three police officers that covered up the murder of Laquan McDonald. 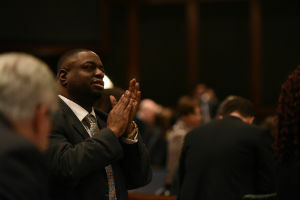 SPRINGFIELD – State Senator Emil Jones III (D-Chicago) voted today to increase the Illinois minimum wage to $15 by 2025. Under the proposal, the state’s minimum hourly wage of $8.25 would increase incrementally to $15 per hour between now and 2025. The legislation, Senate Bill 1, also calls for a tax credit to help businesses that employ fewer than 50 workers offset the wage increase.